When Ole Reliable finally bites the dust, or the repairs to a favorite old car or truck finally exceed the cost of buying a newer car, the DIYer will encounter some painful hidden costs. Unless the new(er) car or truck is the same make and model as the old one, some of the DIYer’s old tools won’t work with the new ride. 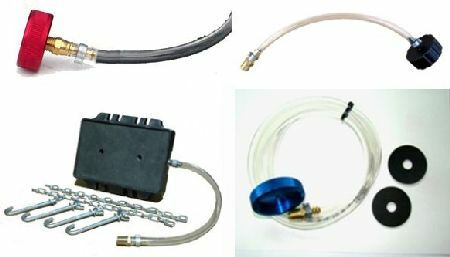 Motive Products is trying to lessen that pain by offering adapters for their power bleeders. More and more I see these compact fluorescent bulbs in traditional worklights, probably because the price has come down a lot — but it strikes me as funny to see ’em in places where the big lights are common. For custom shop applications, tool guys often wire up the fluorescents in a modular array of several bulbs; just twist loose the ones you don’t need right now, and tighten them back up when you need more light. 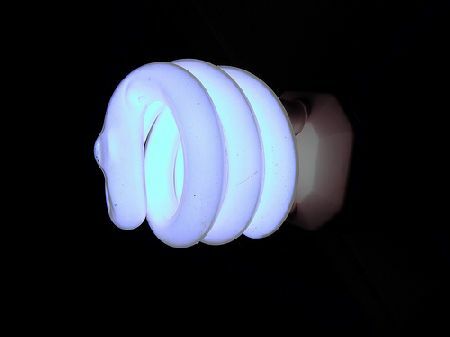 There’s nothing wrong with putting a compact fluorescent in the traditional “cage worklight on an extension cord” — it just looks out of place to me. Thanks to for the great CC-licensed photo. 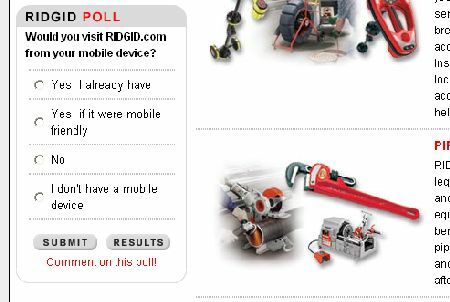 This market research poll on the Ridgid website seems to be a sign of the times — contractors and DIYers alike are so well-connected these days that companies are starting to cater to their mobile gadgets. The iPhone and other micro-devices with Internet are getting good enough that they can display most websites correctly, but the small screens apparently make for some awkward formatting issues. I haven’t entered the high-tech world yet and I’m wondering if the situation is as bad as it sounds. The question then is twofold: How much tool stuff do you do on a mobile device, and what percentage of your tool stuff isn’t “mobile-friendly?” Let us know in comments. Simple Green now has so many products it’s hard to keep track, but one that may be worth a try is the Brush and Roller Cleaning Gel. Brushes and roller covers never seem to come out like new and it may not usually matter, but getting the stiff out of the bristles or nap is a pain. Chemicals can do crazy things nowadays and this is worth a shot if it really works — though we have to say, sometimes it’s easier just to chuck the nasty brush and get a better one. In days gone by, I’d have called this a James Bond-style pen, but since 007 doesn’t use gadgets anymore I’ll just say it’s cool. 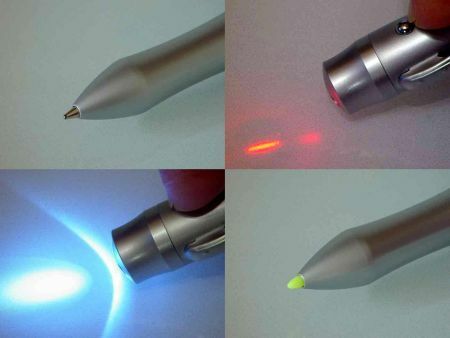 This perfect shop pen features a laser and an LED. I know you’re all cheering, but if you’re prone to over-excitement, you’d better sit down — you can get the Quad for only £26, or around $39 for those of us on this side of the pond. In addition to laying down ink, this full-featured pen can also operate your PDA with its stylus tip. As if that weren’t enough, the Quad comes in a stylish case with storage space for an emergency battery set. O ye scoffers, tremble, the future is now — that is, unless you’re not susceptible to gadgetry, in which case it’s just a gimmicky pen. When it comes to crowd control, you can turn to a lot of different tools; for instance, you can command a crowd’s attention by waving around a running chainsaw. But if you want to avoid restraining orders and news coverage you could try a more socially acceptable tool called the Powerwalk — think George Jetson. Composting is great for gardens and flower beds, but getting that composty goodness onto your lawn can be a real pain. 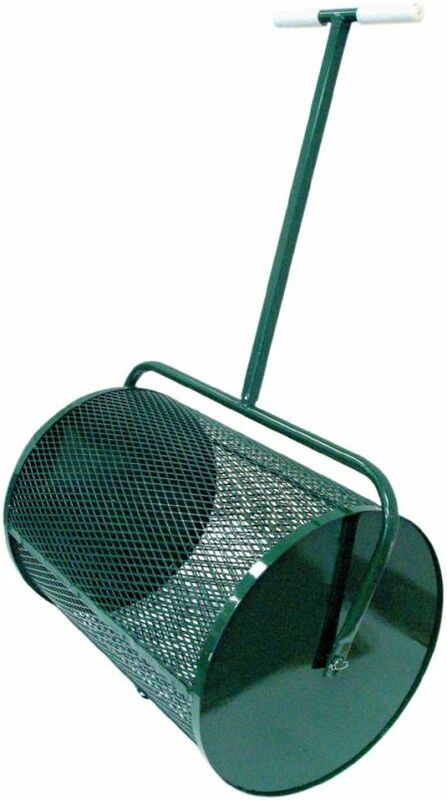 Sure, it’d be fun to find one of these awesome manure flingers sized for your yard, but with this compost spreader you won’t have to power-wash your house afterward. 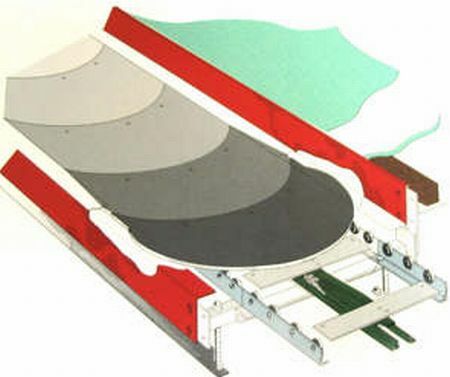 The mesh is small enough not to let through the compost chunks that a lawn mower would hit, and the powder coat makes it corrosion-resistant and easy to clean. It’s a new product from North Star, so no pricing is available yet. Starborn Industries, makers of the Smart-Bit, also put out some fasteners with innovative features — the most photogenic are their DeckFast epoxy-coated screws. 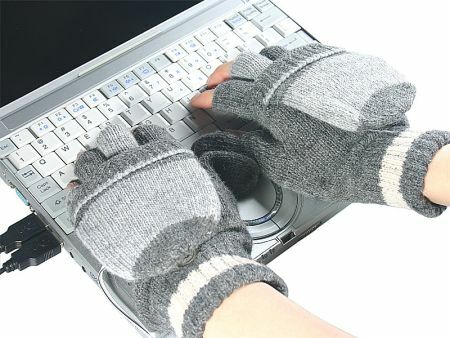 If you’re working on your computer in the cold, you might wish you could type with boxing gloves on. Computers are becoming commonplace on production floors and in utility vans, and a lot of people with cold hands have to routinely remove their hand gear to type, or to hit the tiny buttons on other tools. Unless you’re running your laptop on battery power, these USB-heated convertible gloves could help out. Even the non-powered version of these gloves might work pretty well, and you wouldn’t run as much risk of getting your hands sweaty before you go out into the real cold. Or you could opt for a heated keyboard. What’s the best way to keep from freezing your fingers off when you’re doing fine manipulation like typing? Let us know in comments. 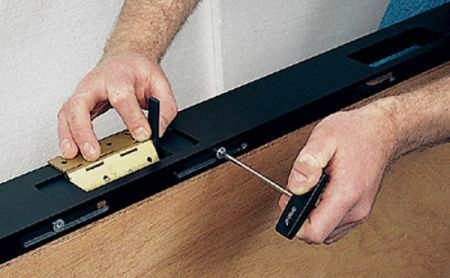 Routing the hinge recess in the edge of a door can be downright dangerous without a jig or clamp to hold the door still, and even then you can still make a real mess of it if you aren’t legendary for your steady hands. This router jig from Trend Routing Technology quickly adjusts to the correct size, using the hinge itself as the pattern, and it provides the guidance needed for fast work with the router. It also features four cutouts for fire door hinges. The downside: It runs $265. That’s not bad for a production floor or for a tool guy who hangs doors all the time — however it looks like I’ll be living with sloppy but thankfully hidden hinge recesses on my doors.